When it came time for Mandy Moore to pick the designers of her wedding dress, she looked no further than Kate and Laura Mulleavy of Rodarte. As a longtime fan and friend of the brand, Mandy's desire for something completely unique and nontraditional was fulfilled in the most beautiful way possible: in color! 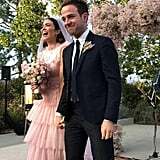 Mandy posted a series of photos from her wedding, which included a glimpse of her stunning pale pink ruffled dress, embellished with little polka dots and a gathered floral design around her waistline. According to E! 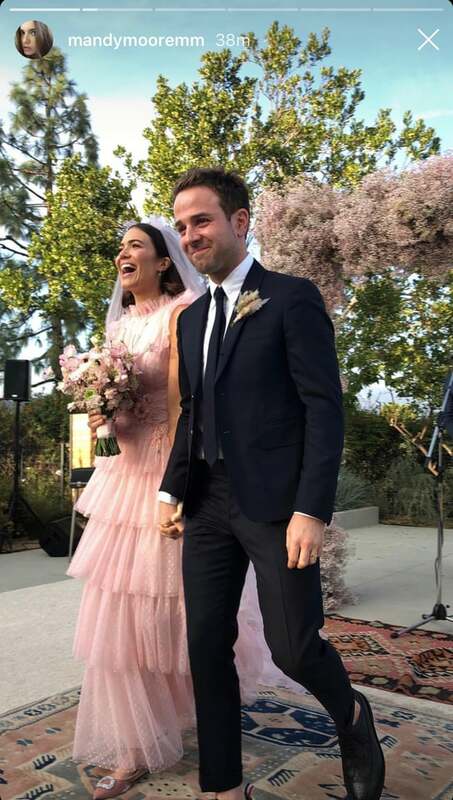 News, Mandy married Dawes frontman Taylor Goldsmith over the weekend in an intimate ceremony at her Los Angeles home. While her dress was anything but traditional, her reasoning makes perfect sense. Earlier this month, the This Is Us actress told POPSUGAR that she wanted to look like herself. "I just want to feel like the best version of myself, not too fussy or done-up," she said. 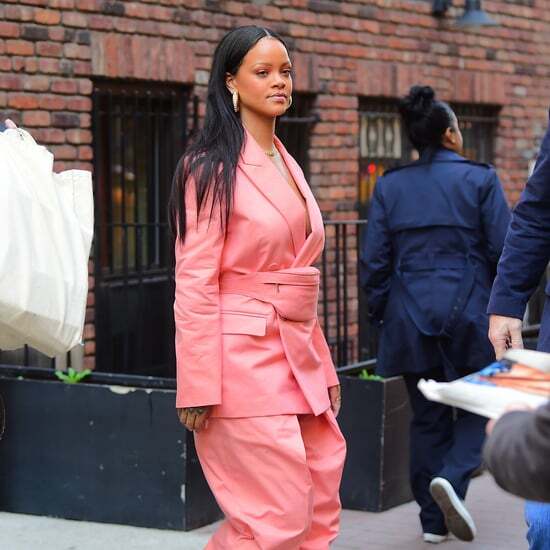 "I've heard that brides regret their hair or makeup; that they sort of forced themselves into this idea of what they thought they should look like at their wedding. It wasn't true to who they really are. I don't want to fall into that trap." With flowers in her hair and a stunning pink Rodarte gown, we have a feeling Mandy has zero regrets about her look. 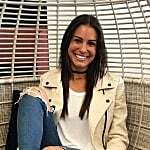 Ahead, find photos of Mandy's stunning wedding gown, shared by family and friends, along with Mandy's stylist, Cristina Ehrlich.